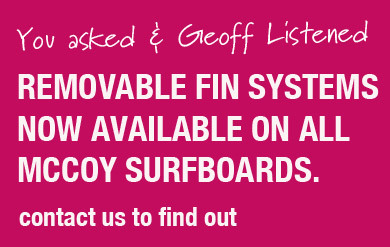 After years of research and development McCoy is now proud to be releasing our new range of superior fin designs. 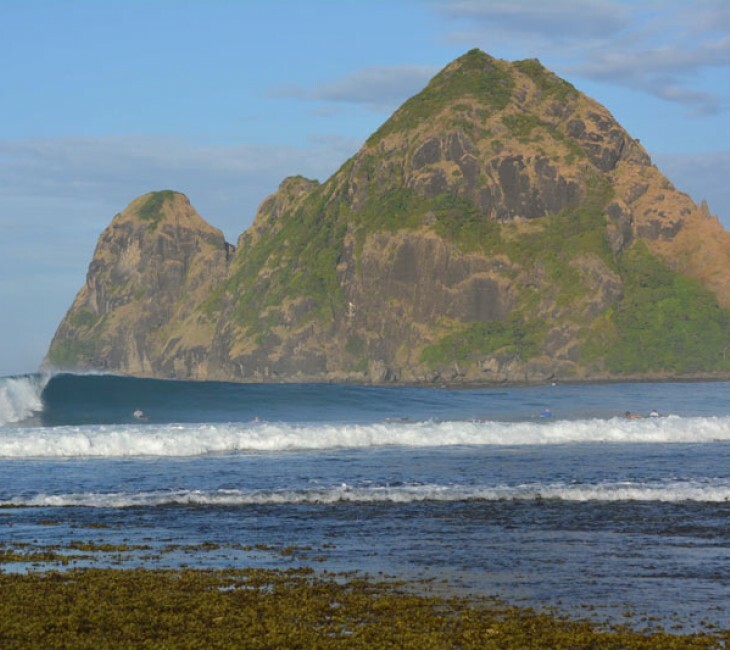 Tested in all wave sizes and conditions with out standing results, It is now possible to obtain 3 different style of surfing. There is an increasing interest in the single fin design once again, which brings with it lack of knowledge on their overall performance and capabilities. With all my single fin designs, I include a 10” box which allows removal of fin from the box and movement laterally when fin is in the box. Having these capabilities gives the board a greater range of performance options. This is my recommended starting position for my 3 Gull Wing design fins. If riding the board in waves over 5’, it may be necessary to push the fin back even as far as the back of the box, this gives the board better hold, drive and control in the larger waves. Gull Wing and other long tip short base fin designs. 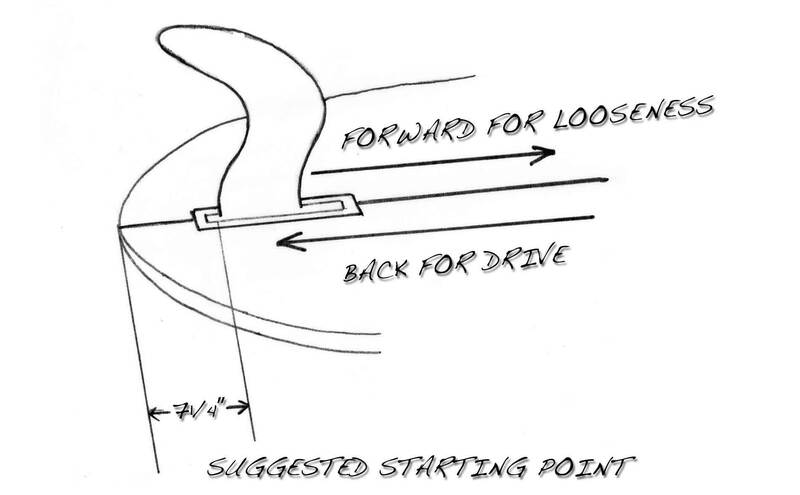 Concept to get the drive factor down in the water not at the base of the fin but in the tip area. This enables the plan shape of the fin to remain narrow over all but still retaining good area in the tip. 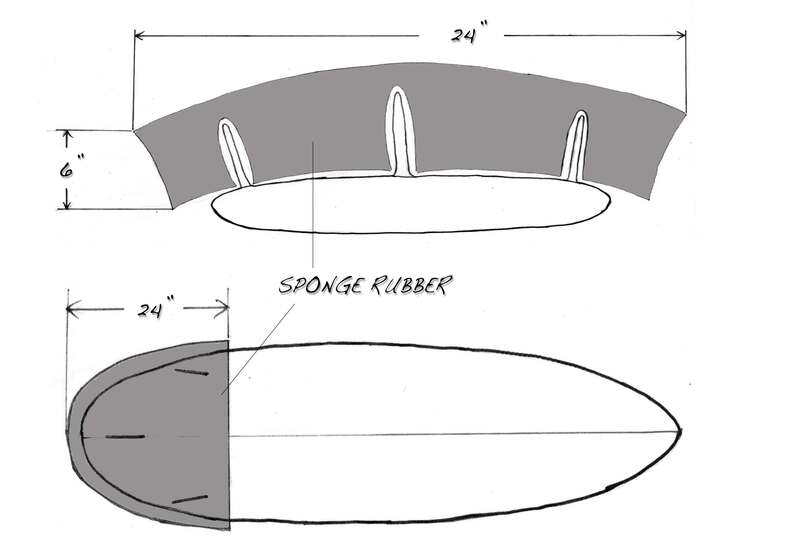 There are many advantages in using these designs by reducing base area it allows the fin to turn quicker because the area has been reduced it also takes the need for the board to run longer arcs allowing quicker shorter turns, so by moving the base area of the fin up into the tip area by extending the length of the tip of the fin you get the length and area to drive off with greater affect as it is deeper in the water giving the pendulum effect while still retaining the narrow plan shape which gives less drag, especially in hollow waves as there is less effect on the narrower plan shape as the water spirals around your board in the hollower more critical parts of the wave with great intensity, because of this the board can surf deeper in tubes while still allowing the surfer to be in control the board. This statement is to inform people that the Ben Lexon designed keel fin is in no way my fin of choice. I do not recommend it to be used in any of my Geoff McCoy designed surfboards. Never have I had any involvement with the design and I certainly have not and do not recommend its use in a surfboard. The original Lazor Zap fin is a refined Dolphin fin design. In recent years I have developed and recommend my Gull Wing fin. My Gull Wing has been designed specifically for my wide thick tail single fin boards and has proven itself to be extremely efficient and a very reliable performer in a wide range of wave sizes and conditions. 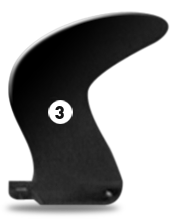 This fin is very user friendly, good hold with smooth flowing arcs, good for more vertical surfing. 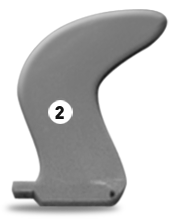 This fin gives amazing holding and driving capabilities; the forward knuckle at the front gives extra hold and drive. This is great for long arc surfing smooth and flowing with amazing hold and control in the roundhouse cut backs. There is no denying removable fins are convenient for travel, but that is all. 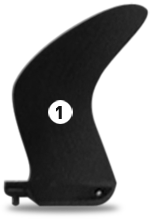 As far as design and strength are concerned removable plastic fins are just not up to the task, consistantly breaking and too weak to withstand the extra pressure that a wide thick tail produces. For this reason all my multi fin designs have hand made fibreglass fins glassed onto the board for strength and performance as opposed to a fashion statement that is inadequate for the job. When travelling with glassed on fins, it is necessary to take precaution for protection. Get a piece of sponge foam rubber 1" thicker than the depth of the fins, cut it out slightly larger than the fin area and the board. Hold it over the fins and mark these positions then dig out the holes for the fins to fit into. Push the foam over the fins, put board into travel bag and zip it up. By doing this, you will minimise breakage by rough luggage handlers.